We provide the highest and most professional quality cleaning services for your carpet, tile and grout and fine fabrics to Phoenix, Arizona and the Valley-wide area. Our mission has been to educate our community on how to take the absolute best care of their carpeting, rugs and fine fabrics. 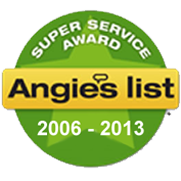 We have committed ourselves to the highest level of integrity, education, customer service and cleaning procedures. Because of our commitment to delivering exceptional professionalism, you will find only I.I.C.R.C. certified technicians on every job. These elements together ensure that you will experience lasting enjoyment from a cleaner and healthier home or business environment. Click on the link below to find out more about each of these services and how we can help your home or business today! Learn about the areas we excel at by going above and beyond what you will find with our competitors. 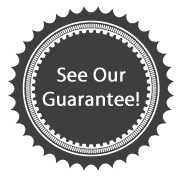 We take pride in every single job that we do and you’ll soon know why! Click on the link below to learn even more about each of these items. You deserve to have it done right the first time with A.U.C. Chris vacuumed and cleaned the carpet in the living room/dining room, family room, master bedroom, office, and hallway. I had moved the small stuff out of the rooms, but Chris moved the remaining furniture so he could clean the whole carpet. The only pieces that were not moved were the very heavy items, such as the entertainment center, large bookcase, and my cluttered desk. He did a good job of pre-vacuuming and cleaning the carpet. He seemed to know his stuff, and worked at a fast pace. I am happy with the results and would recommend this company. My couches had a dingy, dirty look all along the bottom edges. Chris immediately identified the problem as my dog giving herself a good rubdown along the edge of the couch, leading to a buildup of skin oils that became a magnet for more dust and dog hair. I can't believe the difference a good cleaning made. The couches, which are 20 years old, look like they just came from the store. Chris was knowledgeable, professional and a delight to deal with. How often can you say that? Exceptional service. Very happy with the outcome of the carpet cleaning. Very professional and polite. I rate this service as an A++++. I will recommend them to friends and family and will use them again. America’s Ultra Clean meets or exceeds every factory recommended procedures and therefore will not invalidate factory warranties. In fact, we’re so trusted by retailers to clean their products the correct way that we’re often times recommended by them.